Rock Hard 4x4 Shorty Front Bumper w/Tube Extensions, Lowered Winch Plate & No Fog Lights. Coated Black. 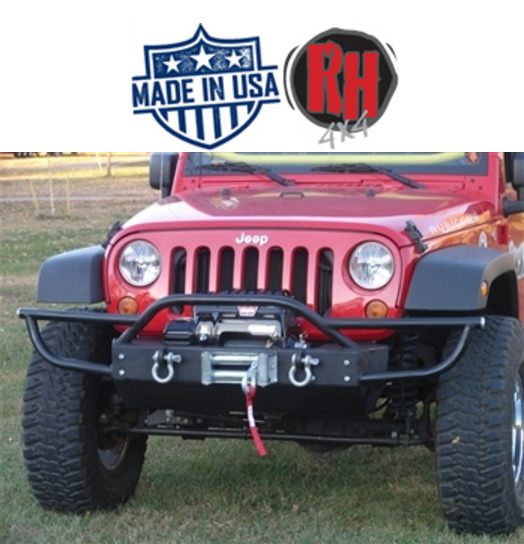 2012-2017 JK Requires RH-5011 JK Vacuum Pump Relocation Bracket.